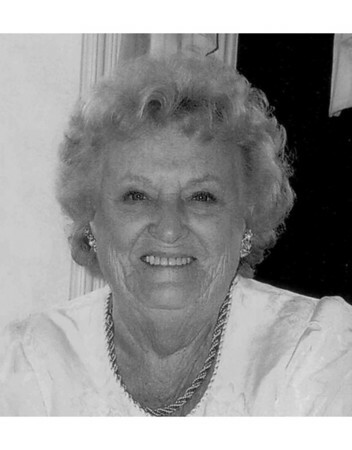 Norma Guhl, 96, of Forestville, passed away peacefully Friday morning, Feb. 1, 2019. She was the wife of the late Edward J. Guhl. Norma was born in Spring Lake, N.J., daughter of the late Howard L. and Edna (Dunning) Bradley, and lived in Forestville for most of her life. She was a hairdresser in Bristol for many years and also taught hairdressing. In earlier days in Ocean Grove, N.J., she and her husband owned a shooting gallery and a laundromat. Norma sang with Sweet Adelines, was very creative and loved to draw and was the Martha Stewart of her time. She was a member of Asbury United Methodist Church, Forestville. Most of all she loved spending time with the lights of her life, her grandsons. Norma leaves her daughter, Melissa Gray and her husband Robert of Forestville; grandsons Bradley Gray (Cassie) and Cameron Gray (Jessica); and a great-granddaughter, Skylar Gray. The family would like to thank Countryside Manor for their care of Norma, with special thanks to Sharon and Maggie, and also special thanks to Nicole from Hospice. Visitation will begin on Thursday at 10 a.m. at Asbury United Methodist Church, 90 Church Ave., Forestville, followed by a service at 11 a.m. with the Rev. Laura Galbraith officiating. Committal service and interment will follow in West Cemetery, 49 Pound St., Bristol. In lieu of flowers, donations may be made to the Book of Remembrance at the church. O’Brien Funeral Home, 24 Lincoln Ave., Forestville, is in charge of arrangements. To leave an online message of condolence or to share a memory or a photo, please visit Norma’s tribute page at www.OBrien-FuneralHome.com . Posted in The Bristol Press, on Sunday, 3 February 2019 20:07. Updated: Sunday, 3 February 2019 20:10.